Popstrels Natalie Imbruglia and Katy Perry have been added to line-up of guest judges who will sit in for Dannii Minogue at the X Factor auditions. Geri Halliwell joined Simon Cowell, Louis Walsh and Cheryl Cole for the first round of auditions in Glasgow earlier this week and it is thought that more guest judges are expected to be announced soon. Contrary to earlier reports that Pixie Lott will sit in for the Birmingham auditions this Monday and Tuesday, it has been confirmed that Imbruglia will take these dates due to a scheduling clash on Lott’s diary. She will judge one of the other upcoming rounds. Minogue, who is due to give birth in July, will return for the judges’ houses stage of the competition later in the year. Earlier today reports surfaced that Ex-Spice girl Geri Halliwell was met with a less than pleasant reception at the X Factor auditions in Glasgow. Reports claim that Halliwell had angered fans of the show by rejecting a popular singer called Katie when she had the final and deciding vote. As we reported yesterday, young popstrel Pixie Lott is due to guest judge on the next set of auditions when they move to Birmingham on Monday. 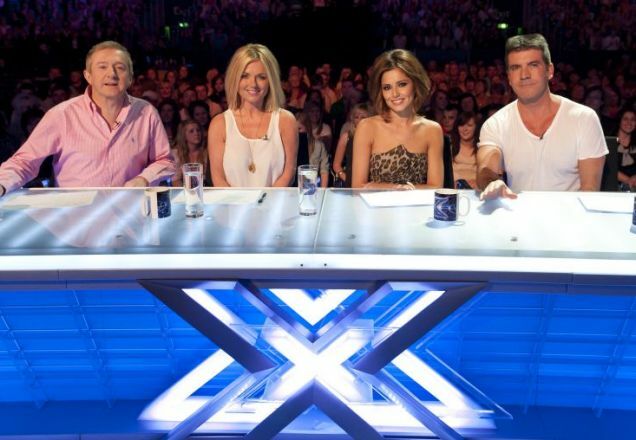 What with Dannii Minogue expecting her baby, a whole host of celebrities are standing in as a guest judge for the Xfactor auditions, a role that worked well on American Idol after Paula Abdul left. Ex-Spice girl Geri Halliwell, one time judge on Popstars: The Rivals; the show which catapulted Cheryl Cole and her fellow Girls Aloud bandmates to fame, is currently sitting in on the Glasgow auditions for the Xfactor but at 37 years of age, it seems that Simon Cowell also wants some young guns to dish out the advice and separate the talent from the bad. Pixie Lott, who performed on Britain’s Got Talent last week, reportedly impressed Simon Cowell so much that he has apparently asked her to guest judge on show for the Birmingham auditions at the tender age of 19. Is Pixie too young or does she know what she’s talking about? Pixie, who was born Victoria Lott in Bromley, was signed to her record label at 15, had her debut single Mama Do (Uh Oh, Uh Oh) go straight to number one last June, and repeated her success with Boys and Girl which also hit the top slot last September. Coming through adversity and scathing remarks from fellow previous Xfactor judge Sharon Osbourne who declared she quit the hit ITV show because of her, Dannii Minogue has seen her profile and popularity rise significantly with last year’s Xfactor series. Now she’s got the last laugh as she picked up Glamour Magazine’s TV Personality of the Year award last night. Minogue was unable to attend the ceremony in London’s Mayfair to pick up her award, as voted for by readers of the magazine and the Glamour.com website, as she is currently preparing for the birth of her first child back home in Melbourne. Fello Xfactor judge and singer Cheryl Cole scooped the top crown od Woman of the Year while teen popstar turned actress Billie Piper picked up UK TV Actress of the Year.